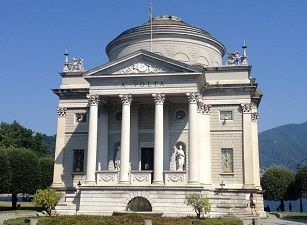 The Cathedral of Santa Maria Assunta, better known as Como Cathedral, is the main place of worship in the city of Como. The cathedral is dedicated to the Assumption of the Blessed Virgin Mary, and was built between the 14th and the 18th centuries. 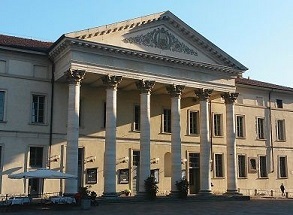 It is recognized as one of the most important religious buildings of northern Italy. 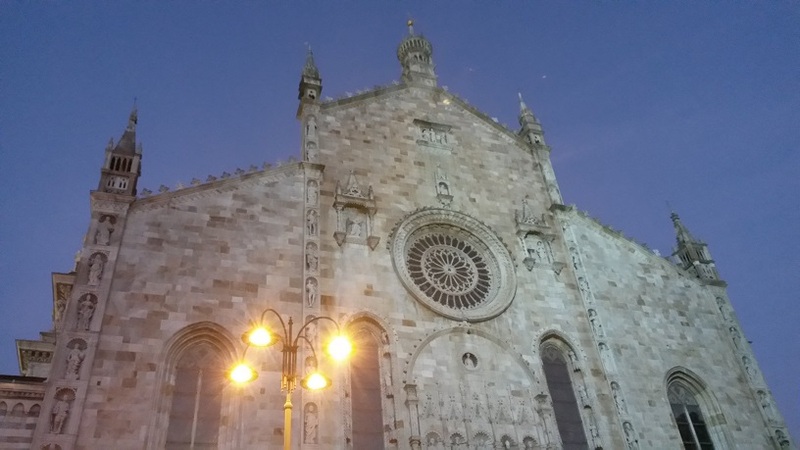 The Como Cathedral is located near Lake Como, within the magnificent setting of Piazza Duomo. Although the Gothic features are predominant, the cathedral also hosts many Romanesque, Renaissance, and Baroque elements. The construction of the cathedral began in 1396 – ten years after construction began for the Milan Cathedral – under the supervision of the architect Lorenzo degli Spazzi from Laino. 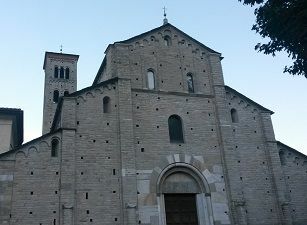 On the current site of the Como Cathedral, there was an earlier Romanesque church that was torn down in order to make room for the new building. 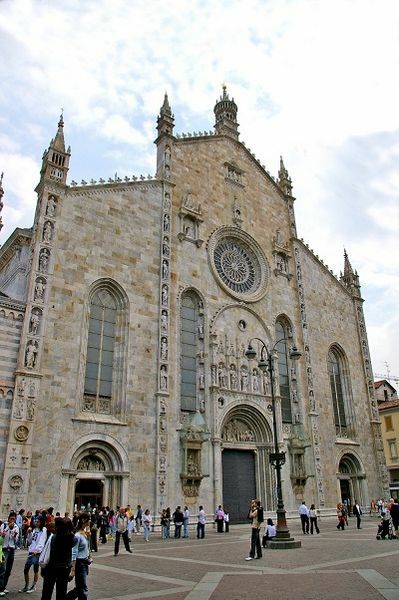 The imposing facade of the Como Cathedral was built in the second half of the 15th century. Among other things, it features a rose window and a portal between the two statues of Pliny the Elder and Pliny the Younger, both natives of Como. 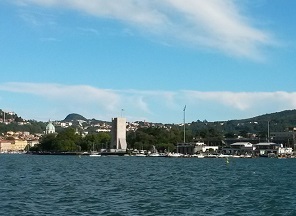 During construction, the bells were temporarily placed on the civic tower of the Broletto (the old town hall). The temporary location has since become the final bell tower of the new church. During the 16th and 17th centuries, the interiors were decorated with tapestries made in Ferrara, Florence, and Antwerp. There are also several paintings by Bernardino Luini and Gaudenzio Ferrari. The two statues of Pliny the Elder and Pliny the Younger also suffered damages related to weather and smog. 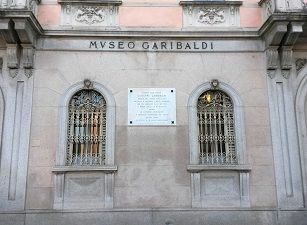 Now you can see them under two glass cases, which have now become an established part of the facade. The construction of the Como Cathedral ended in 1770, with the completion of the beautiful dome by Filippo Juvarra. In the 20th century, the cathedral underwent some renovations. The cathedral is 87 meters long, from 36 to 56 meters wide, and 75 meters high into the top of the dome. It has a Latin Cross floor plan with three naves and a Renaissance transept, all topped by an imposing dome. 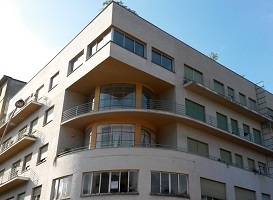 The facade is perfectly aligned with the nearby Broletto and the civic tower. Most of the sculptures on the facade are made in Gothic style, but some of them have Renaissance features. The portal is surmounted by two tondos, within which two sculptures represent Adam and Eve (that is, humanity). Above, there are five sculptures of saints. Another tondo hosts the sculpture of a boy (the Holy Spirit). Near the rose window is a statue of God, surrounded by other statues that represent the archangel Gabriel, the Virgin Mary, and the Resurrection. The walls of the Como Cathedral are decorated with paintings, among which stand “San Sebastiano”, “San Cristoforo”, and “Adorazione dei pastori” by Bernardino Luini, in addition to “Sposalizio della Vergine” by Gaudenzio Ferrari.